Suffering from hay fever? 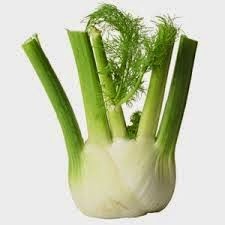 Fennel can put an end to it. A cup of this flavorful bulb delivers 20 percent of the RDA (recommended daily allowance) of Vitamin C. This vitamin reduces blood levels of inflammatory histamine, easing allergy symptoms by 40 percent in one week, according to researchers. What's more, fennel is a rich source quercetin, a flavonoid that stabilizes the body's histamine-releasing mast cells to boost their resistance to allergens.